While most early smart speaker adopters seem to prefer low-cost, low-end models from Google and Amazon, Apple continues to dominate a small but growing “premium” market segment with the $349 HomePod. Apart from Google, Samsung also wants a piece of that hefty profit margin-generating pie, although Bixby still needs work. Some of that work is likely to bear fruit next month, when the Galaxy Home may finally get an official price point and release date as well. 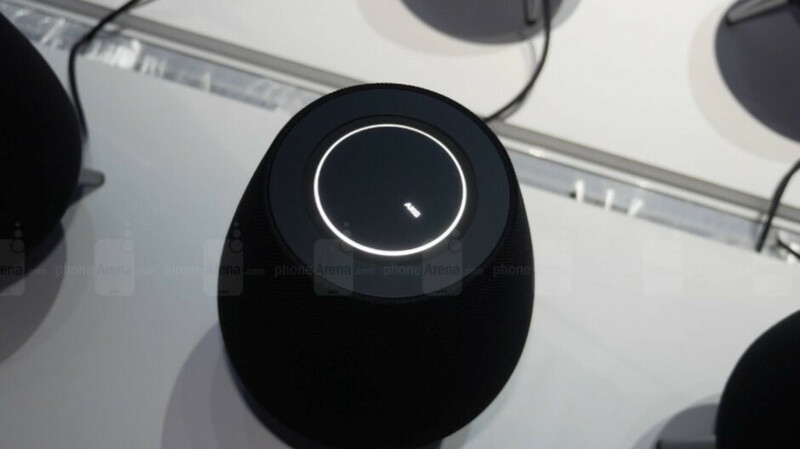 Until then, the launch markets of the AKG sound-boasting smart speaker have reportedly been revealed. Unsurprisingly, Samsung plans to release the Galaxy Home first in the US, where the gadget was teased a couple of months back, as well as China, the world’s largest smartphone market, and South Korea, which is the company’s native land. Bixby still supports a modest grand total of four languages, including English, Chinese, Korean, and Spanish, making the aforementioned list of targeted Galaxy Home countries that much easier to guess. Besides, even the HomePod saw daylight in a handful of territories back in February, merely including the US, UK, and Australia, very slowly expanding to Canada, France, and Germany in the ensuing months. Then again, Samsung needs something big to stand out here, and clearly, the design, Bixby’s capabilities, and this limited initial rollout are not it. Could the Galaxy Home come with an unbeatable price? Anything’s possible, but we wouldn’t hold our breath. Within a month of release Galaxy Home will be heavily discounted, and most likely be part of a bundle deal "buy a Note 9 or S9/S9+ and get a free Galaxy Home.". product ain't release yet, a d you talk s**t. Lmao. Some s**t a true fan boy would say.